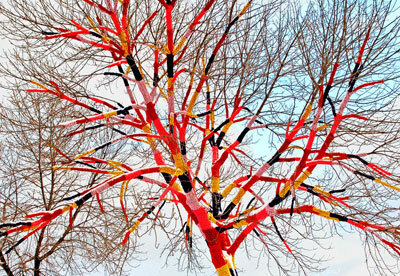 I have written before about an artist that crocheted sweaters for trees. This time I have stumbled upon a tag crew that use knitting as their spray can! Knitta please started back in 2005 after a discussion about the frustration on having loads of unfinished knitting projects. They came up with the brilliant idea of using their unfinished work as tagging. 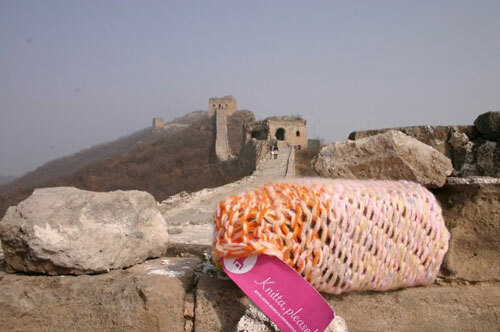 Feel inspired to start with knit tagging? Images copyright of Knitta Please. Yes, you read the title correctly! 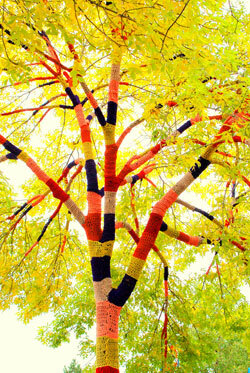 Someone has crocheted a sweater for a tree. The art project, by Carol Hummel, is entitled Tree Cozy and is symbolizing femininity and comfort covering the masculine tree. It was made in 2005 and was up for display until the summer this year in Cleveland Heights in Ohio, USA. I think this idea is wonderful (and a bit wacky)! Wouldn’t you stop, take a closer look and wondering what hell was going on here if you came across a clothed tree? Every knitter I’ve met has a big stack of left-over yarn. 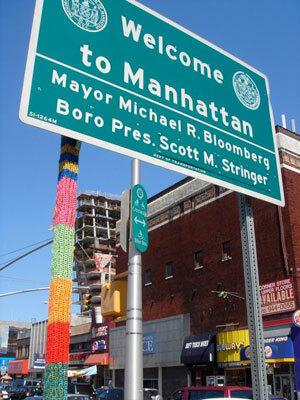 Now you know what to do with all that yarn, warm all those cold trees! You can read more about Tree Cozy over on Carl Hummels project page. Thanks to Dabbler for letting me use his pictures of the tree sweater.